A golf writer from St. Andrews – the home of golf – is the latest recipient of the annual Herbert Warren Wind Book Award for the best golf book of 2015. “St. 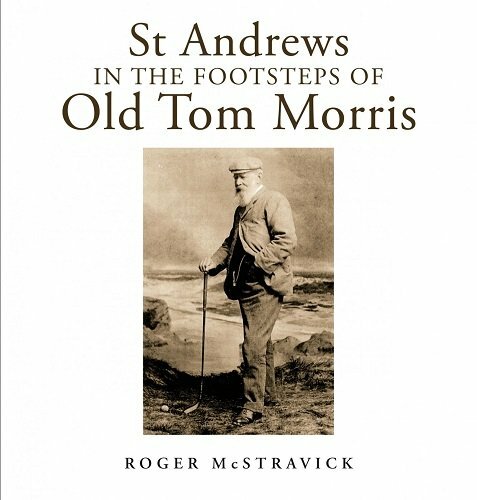 Andrews: In the Footsteps of Old Tom Morris,” by Roger McStravick, is an in depth examination of the game that chronicles life in St. Andrews, Scotland, during the era of Old Tom Morris. Considered the best golfer of his time, Morris won The Open Championship four times between 1861 and 1867. He was a prolific designer, credited with work on approximately 70 golf courses, including the Old Course at St. Andrews, Muirfield, Prestwick, Carnoustie, Royal County Down, and Cruden Bay. McStravick has written for the British Golf Collectors’ Society magazine Through The Green, as well as Golf Illustrated, HK Golfer, and organizations like the Ladies Golf Union and the St. Andrews Links Trust. It took McStravick three years to research, write, and collate the images for the book. Many assisted in the effort, including descendants of the great golf families and landowners of St. Andrews. The majority of the images came from The R&A, the St. Andrews Preservation Trust, Master Works of Golf, and the University of St. Andrews. The book’s foreword was provided by Prince Andrew, the Duke of York. The Herbert Warren Wind Book Award was established in 1987 to recognize and honor outstanding contributions to golf literature while attempting to broaden public interest in, and knowledge of, the game of golf.